The Andromeda Effect is live! A new Onell Design drop, complete with RealXHead stuff, can be yours if you were there on time. 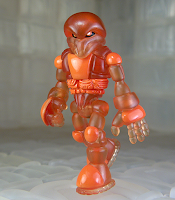 Glow-in-the-dark Skeleden, new Crayboth, and Stryker Lock figures are on deck.